Summer brings lightning strikes to the Florida Everglades. 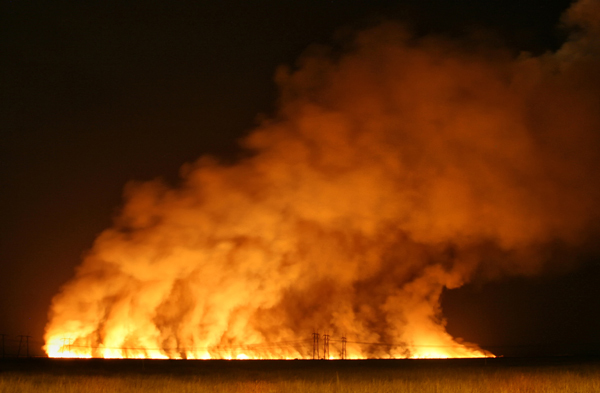 Combined with dry Sawgrass, the resulting wildfires can be seen for miles. The electric power line towers at the bottom of the image show the scale of the towering inferno. This is also a metaphor for our Miami Basketball team going for their third straight Championship, and how I’ve been feeling lately…not in a good way.